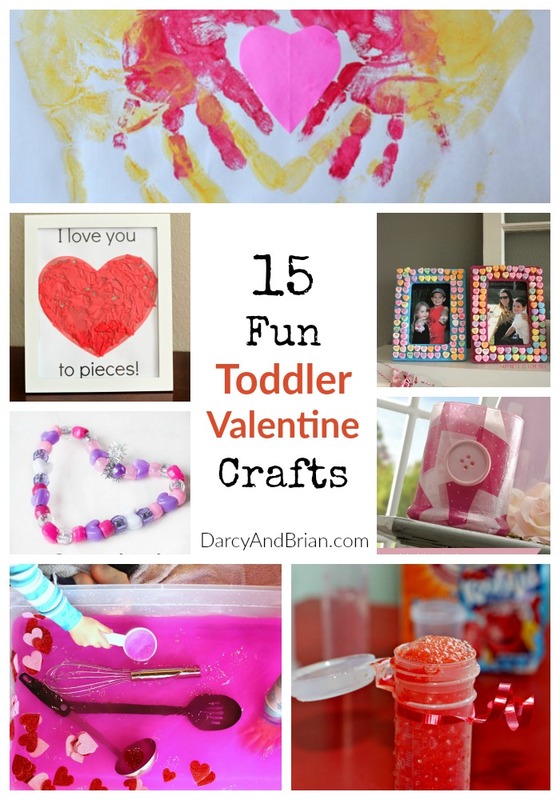 It's already time to start thinking about fun toddler Valentine crafts, and this roundup of great ideas from some of our favorite bloggers gives you a great start. From simple cutting and pasting tasks to the classic wax paper and crayon stained glass this list has tons of ideas that will make cute Valentine crafts and gifts for your toddler or even preschooler to make this year for Valentine's Day. Most of these crafts include things like construction paper, beads, crayons, glue, and scissors. Some are a bit more complicated, but the bulk of these are things that your toddler can do with little to no hands-on help. Getting their motor skills working while creating cute and fun Valentine crafts is a great way to include a bit of education into a favorite holiday. This list is ideal for toddlers, but can be used for older kids or even just for yourself. There are many ways to personalize these Valentine crafts ideas to make them items that can be kept as a treasured memory for the person to whom they are being gifted. Others, like the Candy Kebobs, are great for snacking on or use right away. Gather supplies together and have fun creating some fun Valentine crafts with your kids. Each of these is a great way to gift something to someone they love, and can easily be personalized. For those that prefer less of a gift and more of a fun craft, there are plenty to choose from on this list. Your kids will have fun, you will give them a unique experience and you might just enjoy a fun extra gift item in the mix. Check out some of our other favorite Valentine's Day posts! These crafts are great! Can’t wait to try some of these with my girls! Visiting from Wine’d Down Wednesday. It’s hard to believe it’s almost time to get ready for Valentine’s Day. I hope your girls enjoy making some of these crafts, Dani! Hey, Darcy! Just wanted to let you know that we loved your 15 Fun Toddler Valentine Crafts so much when you shared it at the #HomeMattersParty last week, we’ve FEATURED it THIS WEEK! Hope you can check it out when you get a sec. Happy Friday!!! Thank you so much, Lorelai! !